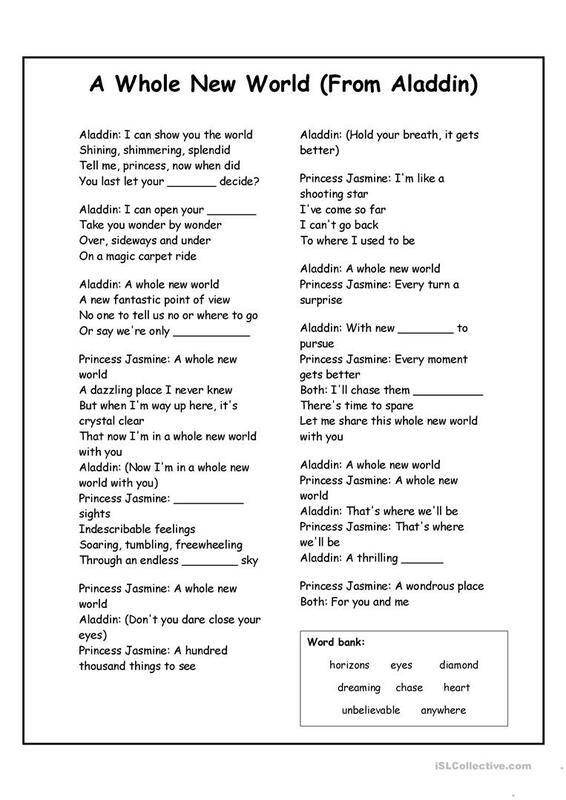 Listen to the song "A Whole New World" which was a song featured in the popular movie Aladdin. As students listen to the song they fill in the missing words which are listed in the word bank. This downloadable handout is recommended for elementary school students at Elementary (A1) level. It is excellent for enhancing your pupils' Listening and Reading skills. It focuses on the vocabulary topic of Music.